The boss of Vanguard, one of the world’s biggest investment funds, has expressed concerns about the record highs in stock markets. 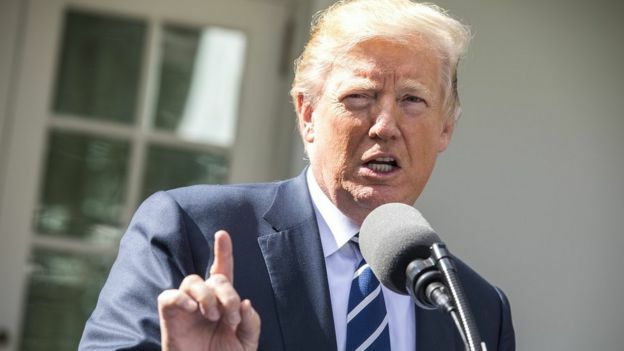 Bill McNabb, chairman of the US company, told the BBC the markets could be on course for a “decent-sized correction at some point”. 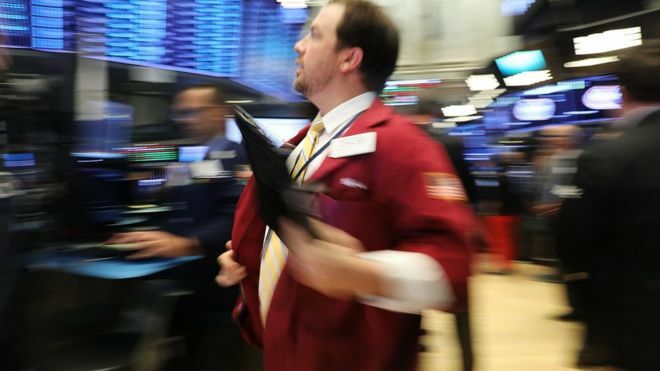 US stocks closed at fresh highs on Monday, days after the UK’s FTSE 100 index hit a new record. Mr McNabb said Vanguard was also watching Brexit “very carefully”. Vanguard, which manages $4.5 trillion (£3.5tn) of funds worldwide, employs about 400 people in London. The firm’s main focus is on providing tracker funds for do-it-yourself investors which follow the rise and fall of indices such as the FTSE 100. In an interview with BBC Radio 4’s Today Programme, Mr McNabb said stock markets were not “in bubble territory”, but he felt valuations were “very high”. Wall Street has hit new records several times over the last month on expectations of strong company profits and hopes that President Trump will win backing for his tax cut plan. Mr McNabb said financial markets “keep reaching new highs”, partly because they had ignored some of the political turbulence around the Trump administration. “The Trump presidency has in a sense defied conventional wisdom,” Mr McNabb said. He suggested it was because the markets were viewing “a lot of what gets said as really just words”. But Mr McNabb predicted that over the next 10 years stock markets will fall back again and the return from shares could drop from 9% to 6%. “We expect there could be a decent-sized correction at some point,” said Mr McNabb, who is stepping down as chief executive at the end of the year but staying on as chairman of Vanguard. The UK’s FTSE 100 closed at a record high on Thursday at 7,556.24, but has since eased back slightly. Mr McNabb said the firm was also monitoring the economic impact from Brexit on Europe and the UK. Vanguard is concerned about rules for non-UK workers and the regulation of some of its financial products after the UK leaves the European Union. But he added that those issues were “overcome-able”. “We remain very optimistic about the UK’s prospects as a place to do business in the long-run,” he added. In May, Vanguard launched a new service to attract personal investors in the UK, offering tracker funds directly to consumers. Mr McNabb’s comments come as a City lobby group warned financial firms would pull the trigger on “irreversible” job relocations next year unless the government agreed a transitional Brexit deal. The City UK said financial firms were “beyond the planning stage now” and would go ahead with contingency plans next year if there was no progress in the Brexit talks.